This antique cookbook is a mess. It is a cook’s copy that was thoroughly used, probably by several generations. The hinges are gone, and the cover is completely separated from the text block. The binding of the text block itself is holding, and the pages are all uniformly tanned, but otherwise perfect. The cookbook is stuffed with newspaper clippings and many pages are covered with carefully hand written recipes for items like ginger cakes, Mrs. Haskin’s Cucumber Pickles, vinegar cookies, Flora’s Cake, and many more. The cookbook was compiled by Estelle Woods Wilcox. The original 1877, 1880 full title, of course, was Buckeye Cookery, with Hints on Practical Housekeeping, Revised and Enlarged. Copyright 1881 by The Housekeeper Corporation, Minneapolis, Minn. 536 pages. A brief history of Buckeye Cookery is posted on the Michigan State University’s wonderful “Feeding America” website, here: http://digital.lib.msu.edu/projects/cookbooks/html/books/book_33.cfm. They also changed the publisher’s name from The Housekeeper Corporation to the Buckeye Publishing Company to Home Publishing Company, Minneapolis, Minnesota. And don’t forget to click on “Recipes” at the top of the VintageCookbook.com Homepage. 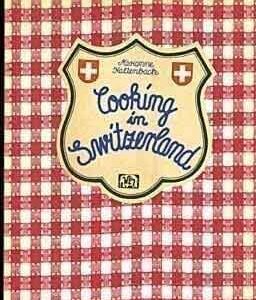 You’ll find one great recipe from many of the great antique and vintage cookbooks, including several recipes from Buckeye Cookery and from Practical Housekeeping .